Salman Khan, who charged around Rs 2.5 crore per episode from seasons 4 to 6, doubled it to Rs 5 crore in Season 7. Salman Khan, who has since long been ruling the silver screen, has had a very successful run in the small screen as well. Apart from A-list movies and a bunch of endorsements, Salman Khan has been successfully hosting two big shows - Bigg Boss and Dus Ka Dum. The actor has been associated with Bigg Boss for over nine years now, since its fourth season. As the show grew bigger and included bigger stars, Salman Khan's paycheque is said to have increased proportionately. Salman Khan, who charged around Rs 2.5 crore per episode from seasons 4 to 6, doubled it to Rs 5 crore in Season 7. For Bigg Boss 8, Salman Khan charged Rs 5.5 crore and moved on to Rs 7-8 crore in Season 9. In Season 10, he is said to have taken home Rs 8 crore per episode. It was widely reported that he charged Rs 11 crore for Season 11. 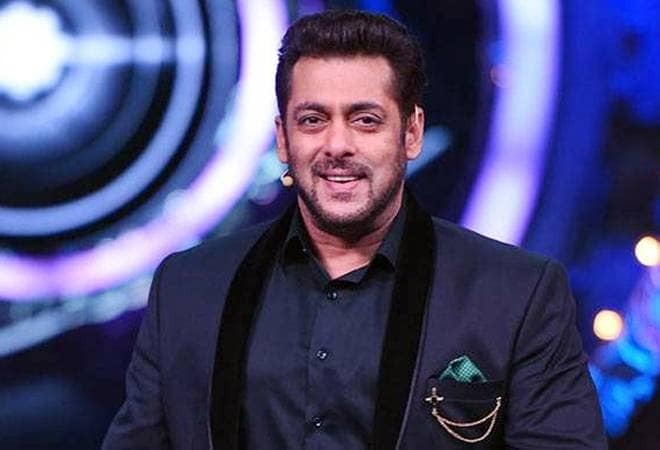 In Bigg Boss 12, Salman Khan is said to be earning around Rs 12 crore- Rs 14 crore per episode. If Salman Khan, appears twice every week, by the end of the show which lasts roughly 12 weeks he will take home anything from Rs 300 crore to Rs 350 crore. However, he is said to have been charging a much smaller amount for Dus Ka Dum. According to a report in Times of India, Salman Khan is said to have charged Rs 78 crore for 20 episodes. "For a long time, Salman was keen on returning to this show. However, the channel wasn't ready to shell out his asking price. But last year, both parties settled on a fee that they were comfortable with," a source said as mentioned in the daily. On the other hand, Salman Khan is believed to charge around Rs 60 crore per movie, making him one of the highest-paid actors in the country. Looking at the moolah, it is not strange to see the star associated with big shows like Bigg Boss. The show is known not only to revive careers but also paying its contestants well. Anup Jalota, who is part of this year's ensemble, is reportedly being paid Rs 45 lakh per week. Popular star Karanvir Bohra is said to be earning Rs 20 lakh per week, while Dipika Kakar is said to earn Rs 15 lakh. Salman Khan's earnings is an indication of how far the star has come, as well as of the changing industry. The actor recently told PTI that he performed as a background dancer in a show "just for fun" and earned Rs 75. "Then it went up to Rs 750 for Campa Cola and then it was Rs 1,500 for the longest time. Then I got paid Rs 31,000 for Maine Pyar Kiya, which was then increased to Rs. 75,000 later," the actor said.